What happens when you decide you want to build your forever family home as a Passive House? This is the story of a homeowner who did just that. 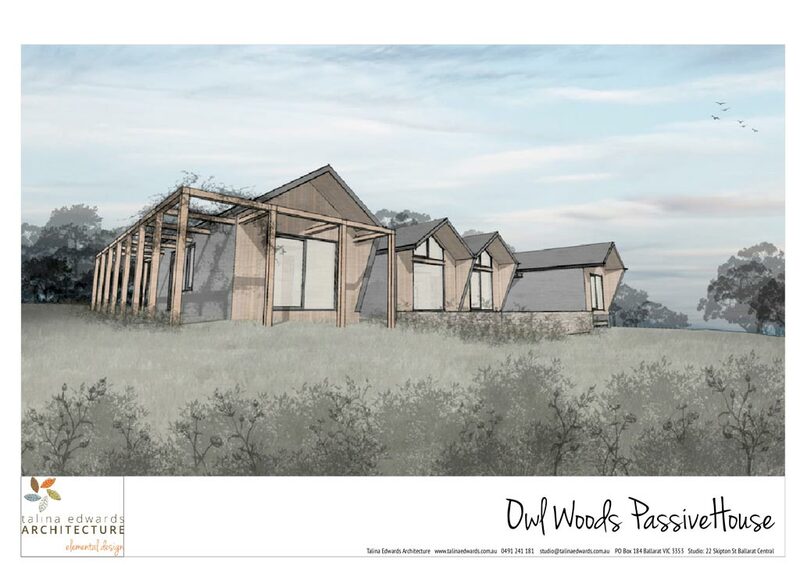 I’m really excited to be introducing you to the Owl Woods Passive House Project. The Owl Woods Passive House is a new home being built Victoria. Its design meets the Passive House requirements and will be certified as a Passive House when complete. This home is David and Yvonne’s forever home, and we’re going to hear from David about what their journey has been like as the clients in this project – and the future owners of this home. At the time of recording this, the project was nearing completion, and due to be finished right about now actually! We’re going to be meeting the whole team over the upcoming episodes, and you’ll get a great insight into this project from various viewpoints. In this episode, David Rhind, the client, tells us what it’s been like to be the client in this project. Everything from how they went about finding their block of land, choosing Talina Edwards as their architect, and then working together on the design. David will share what motivated them to pursue sustainable design in the first place … and then to commit to the Passive House methodology. And you’ll hear some fantastic tips and insights along the way that I know will really help you with planning your own project. Whilst it was under construction, it was included in 2018’s Sustainable Open House Day. As you can imagine, it was a popular site, because many visitors were really keen to see the details of a Passive House whilst it was being built. 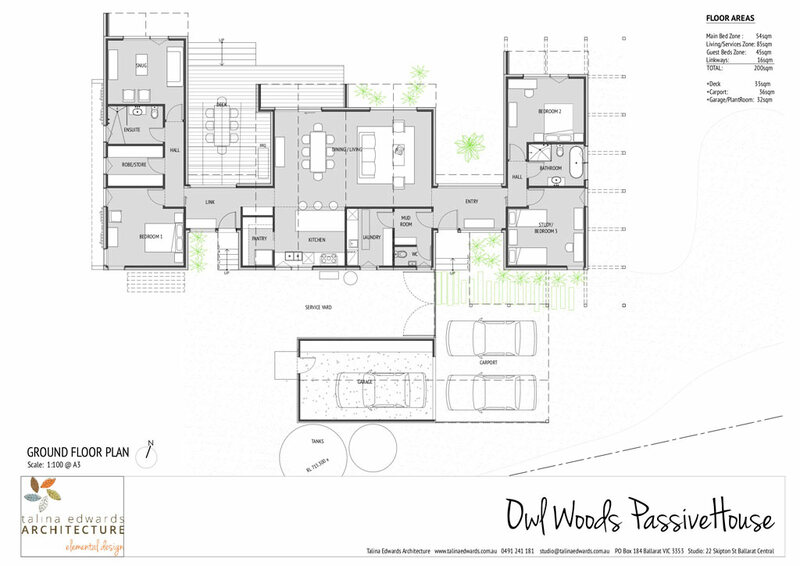 Owl Woods Passive House, designed by Talina Edwards, Talina Edwards Architect. From the Sustainable House Open Day website …. “After many renovations, we’d always wanted to build a house from scratch. High on our priority list was sustainability, for a variety of reasons, but we’re not quite sure what that could/should entail! The site the home on is being built on … when did you buy it, what’s it like, did you choose it with specific criteria? When you thought about building a new house, what were your key goals … what did you want to achieve? What led you to thinking about building a Passive House? Have you found you’ve had to upskill yourself in any way? Terminology, the science of it all, etc? Was there anything you were specifically nervous about in doing this? What are you most looking forward to about living in a Passive House? Do you think it’s forced any compromises for you? (Often homeowners think a Passive House will mean they have to have the home look a certain way, or they can’t open windows, or they’ll just have to deal with being cold or hot at certain times of the year, or they can’t choose the material they like aesthetically because it doesn’t meet requirements). What key tips would you have for homeowners considering building or renovating their home as a Passive House? This episode is a great insight into a homeowner’s personal journey of embarking on their new home project – and how they are bringing their forever home dreams to life. This episode is brought to you by my online course “How to Get it Right in Your Reno or New Home”. This is a superfast course that will help you get ready for your renovation or building project in the best way possible. In it, I share my step-by-step system to help you save time, money and stress in your project, so you can know what you need to know and create the perfect home for you – simply and with confidence … avoiding the dramas and heartaches. You can join now, get access to a fantastic Facebook community, Live Q & A sessions with me, and all the tools and resources you need to achieve success in your project. CLICK HERE to learn more and join us.